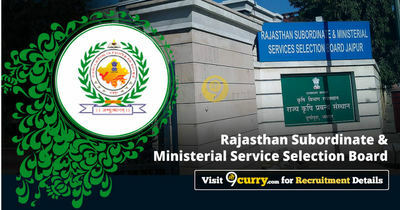 RSMSSB News / Updates 2018: Here are some of the very important updates and news regarding recruitment drives being conducted by RSMSSB - Rajasthan Subordinate and Ministerial Service Selection Board. The recent updated published related to the organization is - LDC Exam Date 2018. RSMSSB LDC Exam Date 2018: Rajasthan Subordinate and Ministerial Service Selection Board has announced Exam dates of LDC and Exam to be held on 16 Sep 2019. RSMSSB PTI 2018: Exam Date for PTI Grade III Exam 2018: Rajasthan Subordinate and Ministerial Service Selection Board has announced Exam Date for PTI Grade III Exam 2018 and Exam to be held on 30 Sep 2018. RSMSSB Junior Assistant/ Clerk Grade II (LDC) Exam Date 2018: Rajasthan Subordinate and Ministerial Service Selection Board has announce the Examination Dates of Junior Assistant/ Clerk Grade II (LDC) Exam from 12 Aug 2018 to 16 Sep 2018. RSMSSB Computer Document Verification Schedule 2018: Rajasthan Subordinate and Ministerial Service Selection Board has issued the Computer Document Verification Schedule 2018 in the list given below file. RSMSSB Sanganak (Computor) Exam Date 2018: Rajasthan Subordinate and Ministerial Service Selection Board has announced that the Sanganak (Computor) Exam will be held on 5 May 2018 from 11 AM to 1 PM.